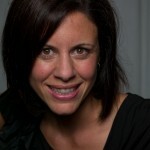 Melanie is the Executive Director and co-founder of Be the Choice. The organization was established with a group of dedicated volunteers, students, doctors, and thrivers in her luscious garden in August 2012. Melanie is also on Faculty in the Department of Law and Legal Studies at Carleton University and teaches in the area of international human rights and religious freedom. She holds her M.A. and Ph.D from Harvard University. She is an avid social entrepreneur and surfer.